work on making further strides in all areas of life. 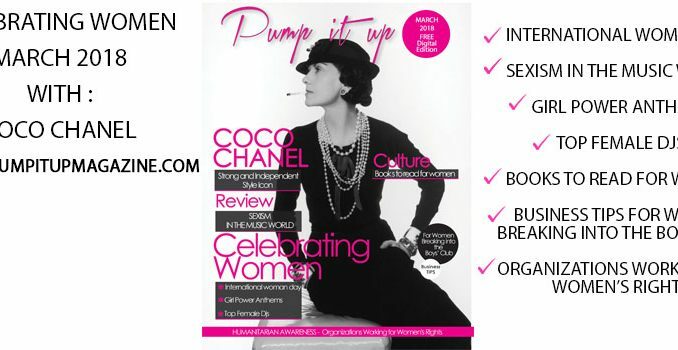 We here at Pump it Up Magazine dedicates this issue to International Women’s Day. 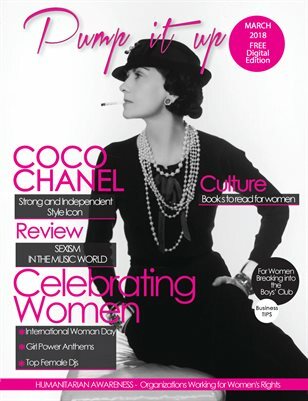 The Cover Photo of this issue is Coco Chanel a French fashion designer and businesswoman. She was the founder and namesake of the Chanel brand. and Marlo-Martin Jackson, one of the nations top female record promotion women and many more interesting articles and reviews and of course music, music, music on Pump It Up Magazine Radio!